The diamond and platinum necklace was part of the enormous jewelry bequest left by Mrs. Ronald Greville to the Queen Mother in 1942. Mrs. Greville was a voracious collector of jewels, and, much like Queen Mary, was prone to making and remaking pieces from her own collection. This necklace is one of those pieces. Made by Cartier in 1929, the original incarnation of the piece was a two-row necklace; that original necklace makes up most of the bottom section of the necklace that you see today. But Mrs. Greville, always looking to amp up her jewels, went back to Cartier in 1938 to have the piece made even more magnificent. The jeweler added three more rows of diamonds and reworked the back chain sections of the piece. The result, according to Hugh Roberts, was "comparable in richness to some of the work carried out by Cartier for its Indian clients." (For reference, see our recent post on Cartier's Patiala Necklace.) 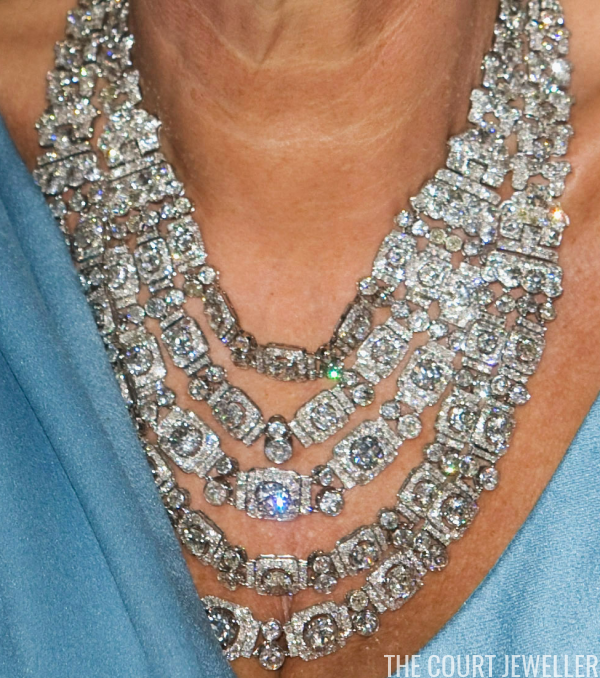 The five-row necklace is the version that was left to the Queen Mother, who occasionally wore all five rows for major events. 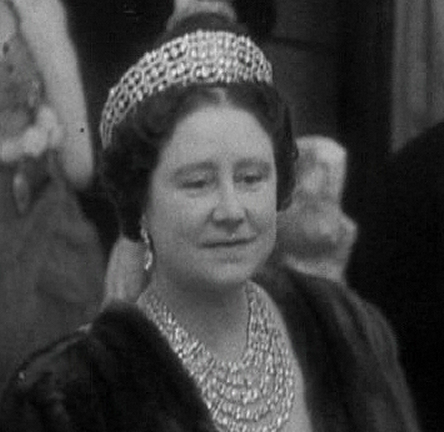 Above, she wears the complete necklace with the original version of the Greville Tiara during the state visit of Queen Juliana of the Netherlands to the UK in 1950. 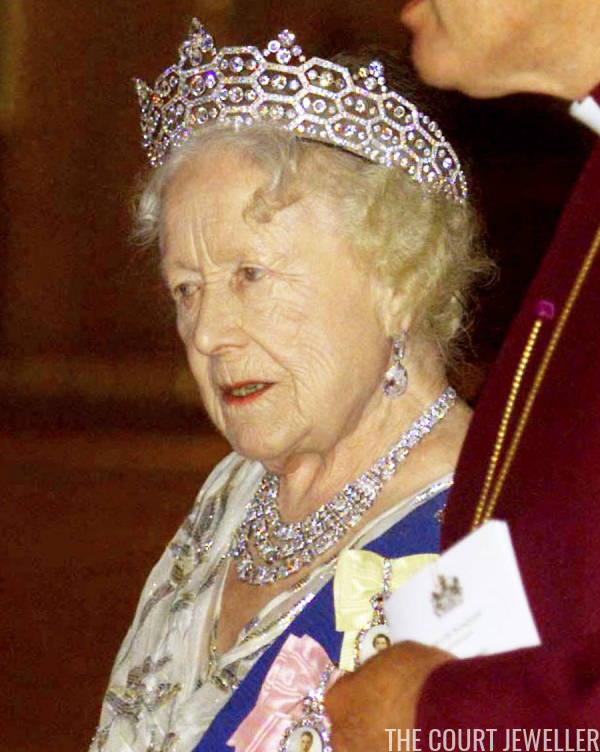 When the Queen Mother died in 2002, the necklace was inherited by Queen Elizabeth II, who has never worn the piece in public. 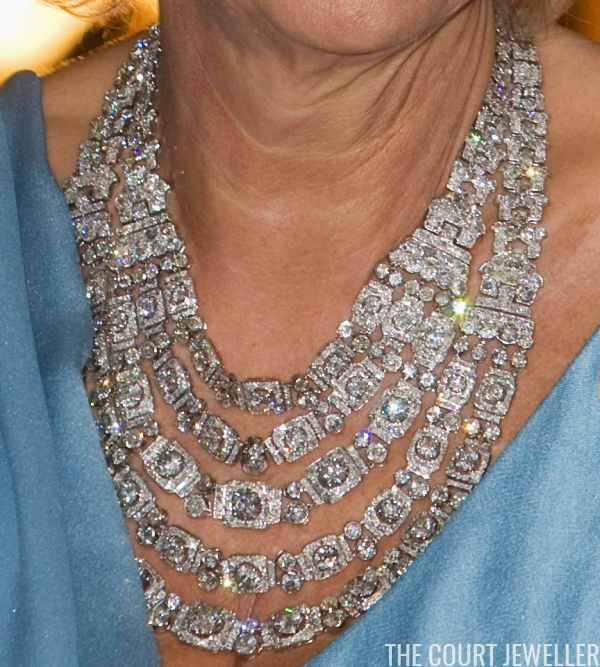 Instead, it's one of the jewels she placed on loan to the Duchess of Cornwall. 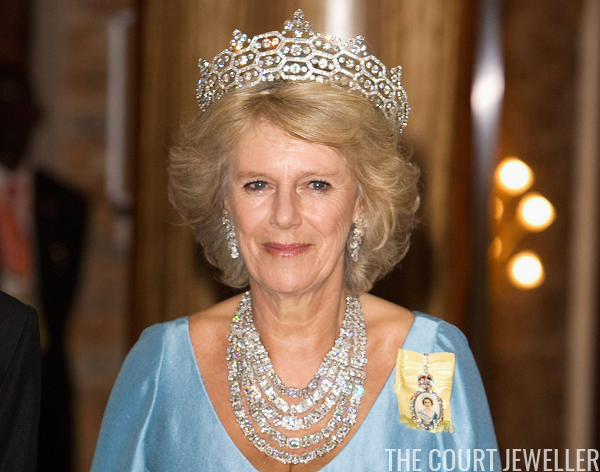 Camilla is particularly skilled at wearing spectacular necklaces -- you can see our entire post on her necklace collection over here -- and she managed to pull off the five-row version of the necklace during the Commonwealth Heads of Government Meeting in 2007. We haven't seen her wear the necklace for quite some time; I'd love to see her try the smaller, three-row version soon!